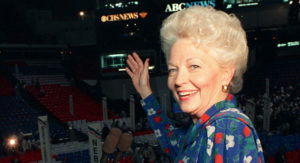 Difficult Woman N°23 Ann Richards (1933 – 2006) Who: 45th governor of Texas, and first women to be elected in her own right. Thought by President Clinton to be the wittiest person he’d ever met. Passionate film buff. Signature Difficult Moves: Snappy one-liners. During keynote at 1988 Democratic National Convention, of then-VP George H.W….